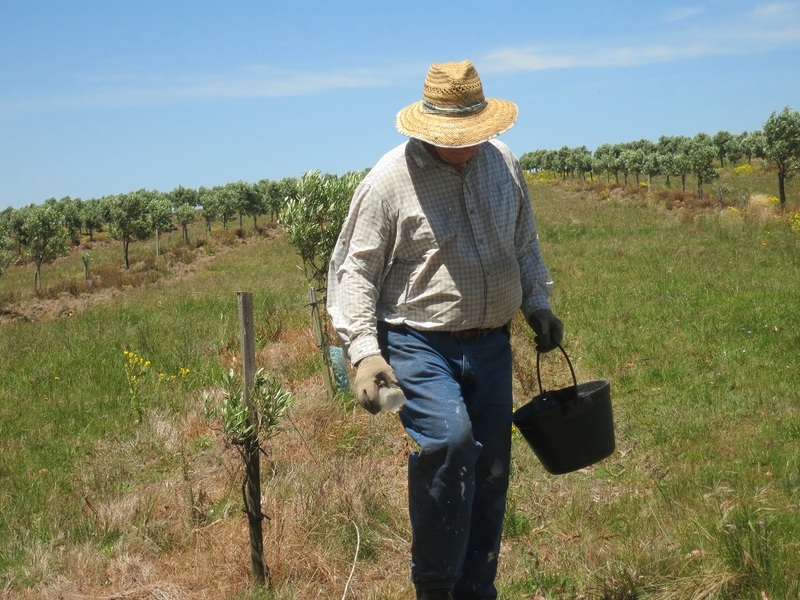 Once again we needed to fertilize the olive trees. We fertilize about three times a year. I say about because really we fertilize the olives whenever our expert consultant, Marcelo, tells us to fertilize the olives. Which is usually four times a year. 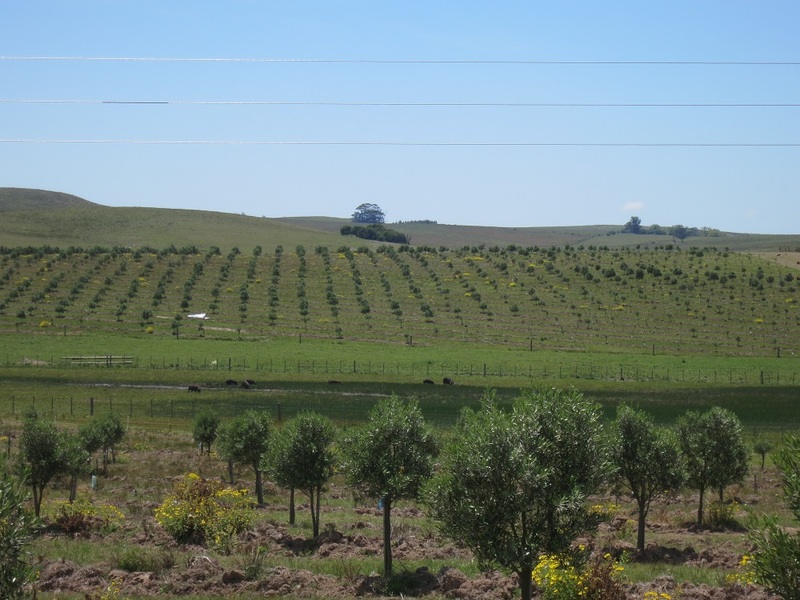 Fertilizing the olives involves sprinkling a fixed amount of chemical fertilizer around the base of every tree. Over the years we have, thankfully, graduated from two types of fertilizer to one – the first year everyone had to carry two buckets – one for each type. This year we ran into the snag of not having quite enough fertilizer. So we are nearly done – but not quite. 20 bags of fertilizer took three people to apply and only one day of work. The weather was sunny but not hot, and it rained the next day, so the fertilizer was able to be absorbed into the soil. Yea for us! I don’t know if you remember, but past fertilizer applications have taken longer and more people, so the improvement in speed and man power is a big thing for us! 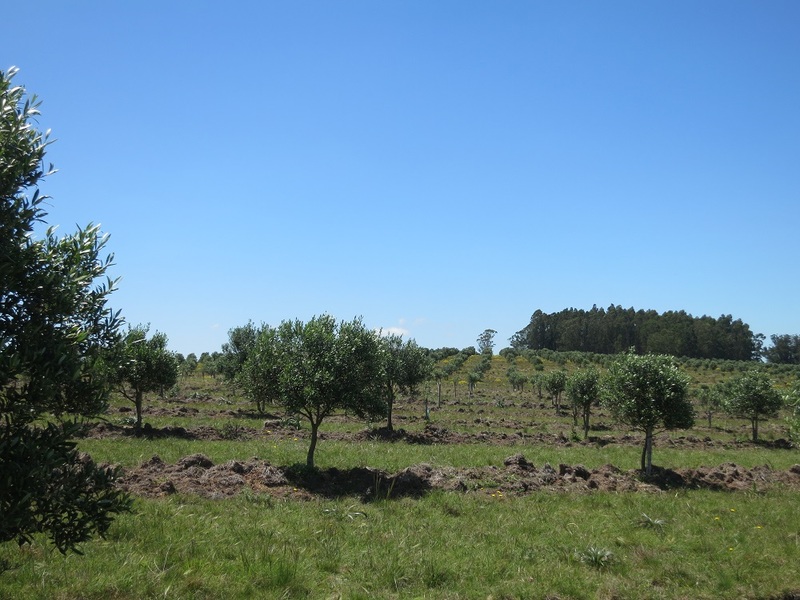 It’s the first time that when you walk the olive plantation it feels like a plantation. Some of the young trees are gaining ground and the older ones now look like trees. This year Jon has been able to stay on schedule with olive care and it really shows. The grove looks healthy and strong. Marcelo, our expert consultant is very, very pleased with the progress. In fact he can’t believe the progress we’ve made in three years. Hopefully within the week we can count the Spring/Early Summer fertilizer as done – the last four bags have been acquired and will be applied soon – with luck before the next forecast rain.